The Global Healthcare Travel Council (GHTC) 4th Annual General Assembly Meeting (AGAM) was convened on 7 April 2018 - in Antalya, Turkey – during the 2nd Hestourex World Health Sport Tourism Congress & Exhibition - http://hestourex.com/ (5 – 8 April 2018). The 51 Delegates who participated in the deliberations of the General Assembly Meeting were fully hosted (air tickets, transfers, hotel accommodation and meals) by the Turkish Healthcare Travel Council. The program foresees the provision of Postgraduate Education in Dentistry (under the Auspices of the GHTC) to address the needs of Dentists – in the context of Dental Tourism.The program foresees the provision of Postgraduate Education in Dentistry (under the Auspices of the GHTC) to address the needs of Dentists – in the context of Dental Tourism. Location and Dates of the 5th Annual General Assembly Meeting will be announced in due course. 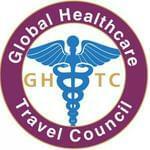 This post has been written by Global Healthcare Travel Council and viewed 1207 times.